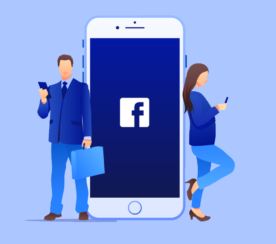 The Facebook Advertising platform is a beast and full of many useful features, which when utilized can be a powerful way to advertise your business. As with other digital marketing channels if you’re not careful can also waste a lot of your budget and potentially return a negative ROI. 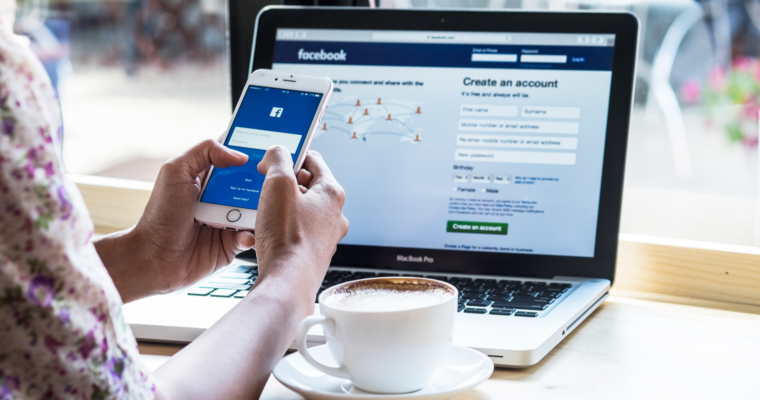 Here are some not-so-common Facebook features that, when used to their potential, can drastically improve your ad campaigns. Knowing how to utilize Facebook’s Audience Insights to segment out your targeting can be a game changer. For instance, income bracket is one of the most common targeting features used by marketers when setting up their ad targeting. But since people don’t tell Facebook their income, it’s bought from a third-party data supplier. Every time you use targeting that relies on data from a third party, it costs you more. Also, you are competing against everyone else using income targeting too, which also drives up the ad costs. Instead, let’s dig into audience insights and see if we can discover what people in our targeted income bracket commonly like. People connected with your page. One of your already built custom audiences. For instance, say you’re a retail brand unveiling a new product with a higher price-point. Let’s start by choosing your custom audience people who have bought from you in the past. Click on the “Page Likes” tab to top and on the left, expand the Advanced tab, and then again on Financial. Next, choose the income or net-worth bracket you’d like to target and Facebook will return a list of the most common likes for that bracket. I’d highly recommend that you select at least 3-5 from this list and layer them to build your targeting. Choosing just one very popular like you will be less likely to end up with your target audience, but when you start layering likes, it becomes more and more refined. I recommend playing around and testing different segments. Audience segments that you build in Audience Insights can then be saved and used later as a saved audience, which can then be quickly applied when you are building out your campaigns. Many times a page you want to use as a targeted interest is not available as an option. Try a Facebook Graph Search. 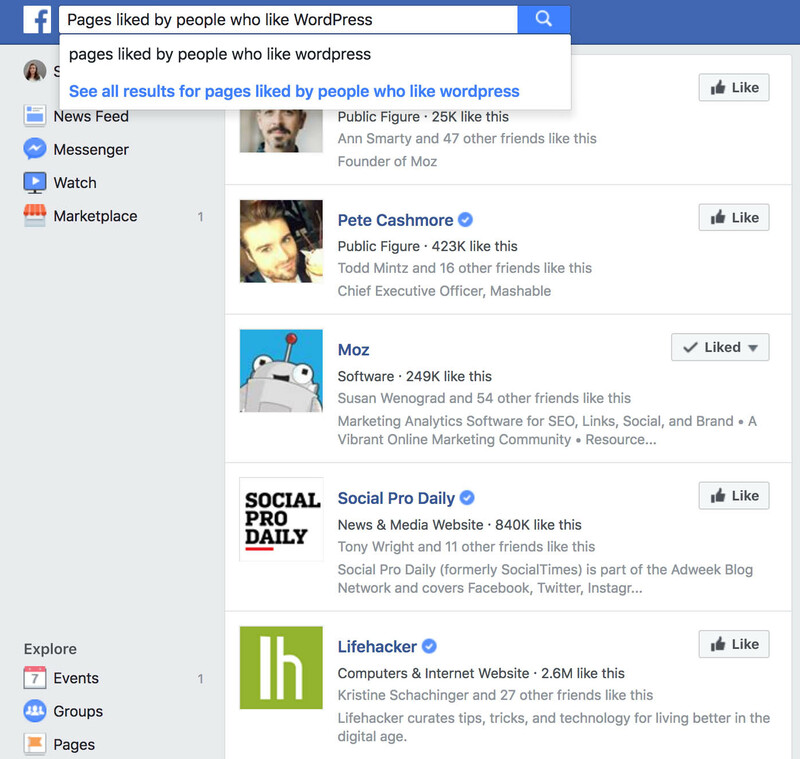 Exit your business manager, head to your personal Facebook account, and in the search box perform a search that starts with “Pages liked by people who like [insert page here]”. Facebook will return a list of other pages that share the most likes with the page you searched. Not all of these pages will be targetable, but a lot of them will be. You may find that layering several of these will further refine your targeting, especially if you see a page that is extremely broad. For instance, if you find Oprah, her audience alone would be way too general of a target, but if you layer Oprah with Shopify and Mashable, your audience will become way more refined toward your original intended audience. When you are setting up your targeting for an ad, Facebook by default has an option selected, which says “Expand interests when it may increase link clicks at a lower cost per link clink”. For a new account, I would recommend unselecting this option. Deselecting this option is especially important if you are targeting a particular niche, as your audience will be way too broad and will waste your ad budget. Instead, aim for a potential reach between 50K-250K people and let your pixel season a bit. As your ads run to your defined niche, you’ll build conversion data on the pixel. Once your pixel has seasoned with conversion data, you can then expand your targeting, and then the Facebook algorithm will start self-optimizing and be more accurate in it’s targeting. When inside your ad account, if you hover over an individual ad set, you should see a link for Delivery Insights. Not every ad set will have delivery insights available. Facebook tells us that the ad set must have been running for at least five consecutive days with at least 500 impressions for the option to appear. Delivery insights will help you stay on top of the success and failures of your ad sets. Is your starting to fail? Is your creative getting stale? Is your targeted audience getting depleted? This percentage represents the number of new people seeing your ad for the first time. Keep a close watch on this number. If this ratio starts off high and has a continual decline and doesn’t level out, you most likely will start to notice an increase in your cost-per-lead. You want this percentage to generally to stay above or around 50 percent, especially for conversion campaigns. If you begin to see that downward slide, you will want to go in and refresh your creatives. Anytime your ads are being shown over and over again to the same audience they will become less efficient, your creative will become stale, and your CPL will continue to increase. The ad will become less effective and eventually, the campaign will stall out without even coming close to reaching all of your targeted audience. The Audience reached ratio will tell you exactly how much of the potential reach in your audience has been reached. 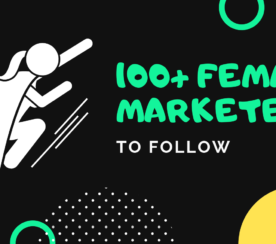 The percentage you see here will tell you whether you still have a lot of people left to reach in your target audience or that you have maxed out your reach and your audience will become depleted. Another big money waster in a campaign is when your audiences are overlapping from another ad set; you are bidding against yourself in the ad auction process. When too much of overlap has occurred, Facebook will stall out one of your ads, typically the worst performing of the two. A stall will start to happen around or above a 50 percent overlap in audiences. You can also view audience overlapping by visiting your Audiences page, selecting two or more (up to five) audiences and click Actions > Show Audience Overlap. 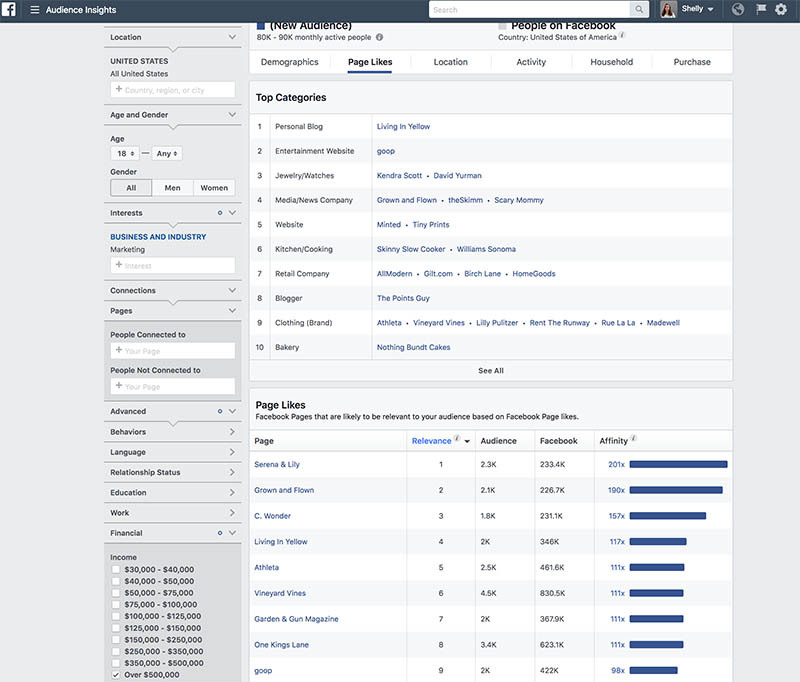 Facebook gives you a nifty graph that you can use to diagnose an audience overlap problem. Facebook recommends that if your audiences overlap too much that you should consider consolidating your ad sets. 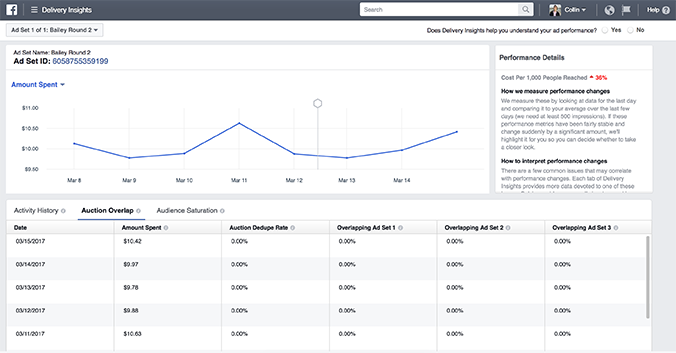 Lots of useful resources and tools are built into Facebook that you can use to drastically improve your ad campaigns. 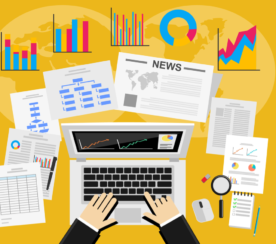 If you haven’t already been utilizing these powerful tools to optimize your campaigns, now is the perfect time to start. Don’t forget: it is so important to test what works best for each of your ads. No two will be the same. Enjoy the insights!